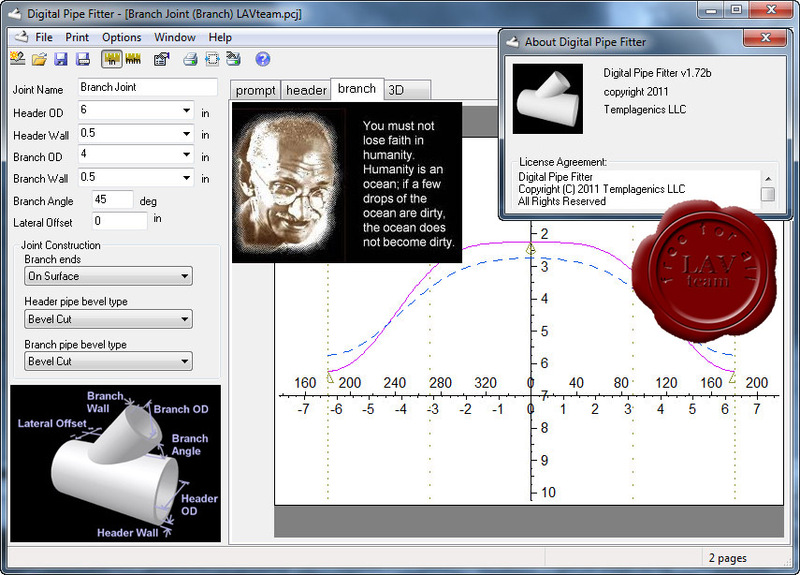 With this software, you can print pipe cutting templates for any of a large variety of joints. 3D visualization of joints makes this software so easy and fun to use, you will be able to design joints you never dreamed were possible. Make your own pipe cutting templates. Print to any printer or export to an AutoCAD DXF file. Choose the type of joint you want, enter pipe sizes and desired dimensions, print a template on your printer, wrap template around the pipe, and cut on the line. It's that easy to create template patterns for saddle joints, miters, wyes, rolling offsets, segmented turns and much more. Now, Digital Pipe Fitter includes node joints for use in truss structures.